Ashton Motte overlooks a tributary of the Brimfield Brook and, although now extensively overgrown, would originally have commanded an impressive view. Nearby are the remains of Ashton Castle which was once a substantial fortified manor house dominated by a circular keep or tower. Little is known about the history of either site. Ashton Motte is a small earthwork located 600 metres north of the modern hamlet. Built on a spur of land overlooking a tributary of the Brimfield Brook, it stands 6 metres tall and is now overgrown. The motte is surrounded by traces of a ditch although this is now believed to be a former water course that may have pre-dated the castle. There is no evidence for a bailey although it is conceivable that one could have existed to the east. Precisely who built the motte and why is unknown. Records thought to relate to the site have, upon further scrutiny, actually been referring to nearby Pipe Aston Tump leaving the historical record entirely silent on Ashton Motte. Fortifications such as that at Ashton were common between the mid-eleventh and early thirteenth centuries and therefore it seems likely the motte dates from this period. Occupation can be assumed to have been relatively short or that it had a minor role, perhaps that of a watchtower. Around 800 metres south-east along the same tributary to Brimfield Brook are the remains of Ashton Castle. This was once a medieval fortified house owned by the Cornwell family. Little is known about its history and what, if any, relationship it had with Ashton Motte. The remains visible today consist of a D shaped platform orientated on north-north-west axis. Located in the eastern corner of this platform is a round mound covering the remains of a circular tower that probably served as the Keep or Donjon. To the immediate north-west of this is a larger platform 24 metres long by 20 metres wide that once hosted the main house. The remainder of the underlying platform was probably occupied by a courtyard and ancillary buildings. It has been suggested the fortified house on the site originally was built to concentric plan but there is nothing visible amongst the remains to suggest this was the case. Instead the earthworks are seemingly of an enclosure castle with a tower and hall. Historic England (2015). 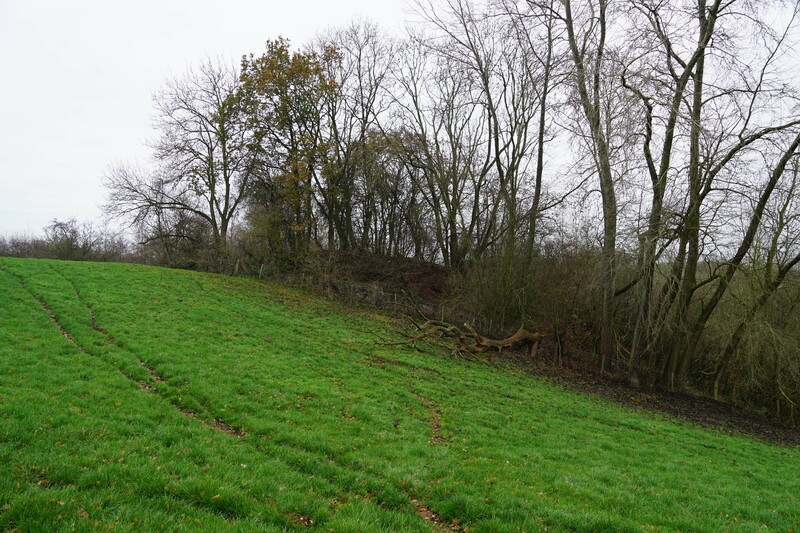 Earthworks SE of Lower Ashton Farm, List entry 1003535. Historic England, London. Salter, M (2000). Castles of Herefordshire and Worcestershire. Folly Publications, Malvern. Shoesmith, R (2009). Castles and Moated Sites of Herefordshire. Logaston Press. Stirling-Brown, R (1989). Herefordshire Castles. Ashton Motte can be seen from an adjacent public right of way although there is little to see other than the overgrown earthworks. 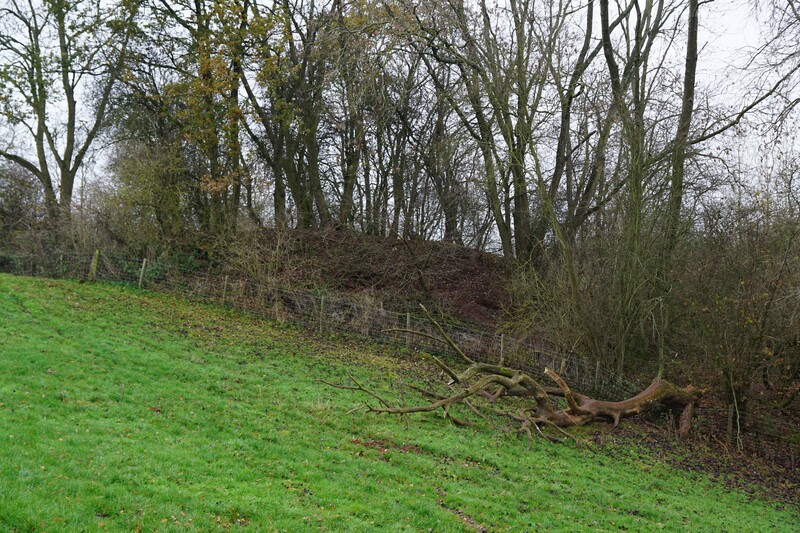 The site of Ashton Castle is on private property with no public access although the earthworks can be viewed from a distance from Hundred Lane. Ashton Motte. 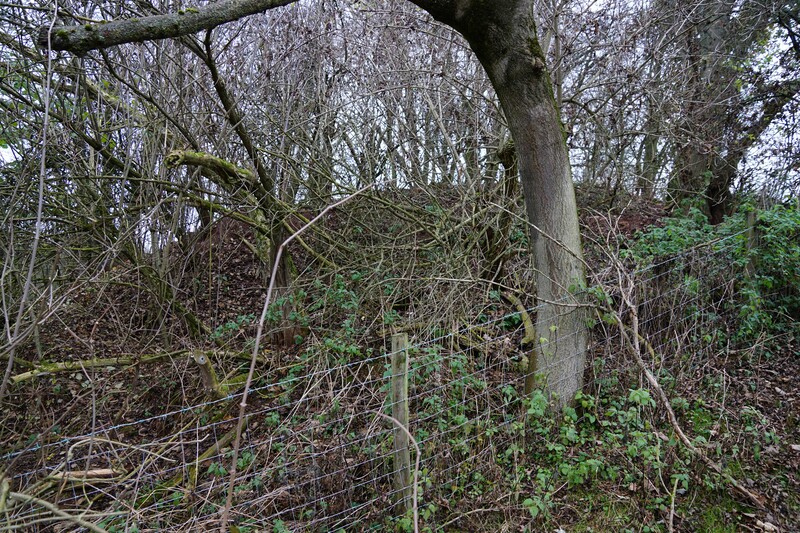 The motte is heavily overgrown but its distinctive shape can clearly be seen. Ashton Castle. The remains of Ashton Castle can be seen from Hundred Lane. 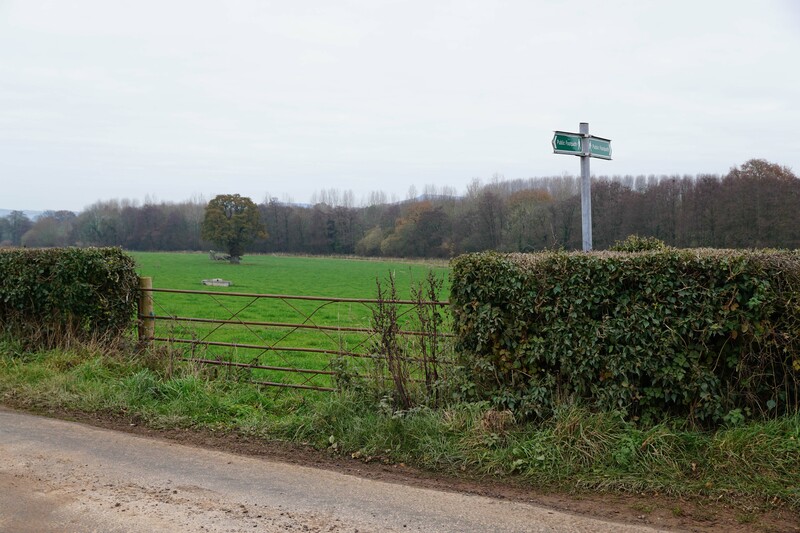 Ashton Motte and Castle are both found off the A49 in vicinity of Ashton. For access to Ashton Motte there is a public footpath that runs nearby and can be accessed from Tunnel Lane just off the A49. On-road parking is possible with care. Ashton Castle is on private land with no public access but can be viewed (from a distance) from Hundred Lane. The right of way to Ashton Motte is found on Tunnel Lane. 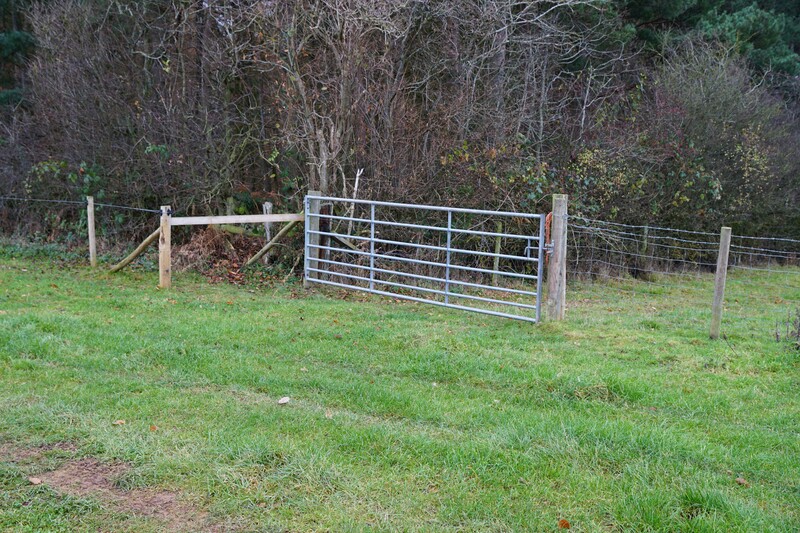 The motte can be found just beyond this farm gate.